Note: Some of the videos from the channels and playlists linked in this post contain swearing. Proceed or not as you prefer! When I was a tween, my sister and I shared a Playstation game system and a handful of games for it. They were all based on popular movies and television shows of the time, like Harry Potter, the Rugrats, and Sabrina the Teenage Witch, and playing these games was for a while my favorite way to pass an afternoon. Eventually, though, the appeal of Playstation games wore off and was supplanted by my obsession with Her Interactive's Nancy Drew PC game series. While my old Playstation games relied primarily on dexterity of the fingers and a good sense of timing, the Nancy Drew series required creative thinking, logic, and spatial reasoning to solve the games' puzzles and mysteries, and I found this kind of gaming much more engrossing. I never really got tired of the Nancy Drew games, but the combination of starting college and getting a laptop without a built-in CD drive led me to play them less often. Now the Nancy Drew series and thousands of other games are available as digital downloads, but after getting out of the habit of gaming I never really got back into it despite the low barrier to entry. However, thanks to YouTube I find myself drawn back into the world of video games in a rather unusual format: the viewing of YouTube gaming channels. My favorite YouTube channels are general vlogs and lifestyle videos, but when I like a particular YouTuber's style I'll check out pretty much any video they make. So, the first gaming videos I ever watched were those on the Team Hypercube channel, made by one of my favorite vloggers Kristina Horner and her friends. At first I wasn't sure what to make of these kinds of videos, but I wound up following their Dokapon Kingdom series religiously as I got absorbed in the storyline created by how Kristina, Joe, and Justin played the game. And while the Dokapon Kingdom videos were by far my favorite on Team Hypercube, I watched many of their other series as well before the channel went on an indefinite hiatus. It wasn't long before a new gaming channel came into my life, this time Dan and Phil Games courtesy of Dan Howell and Phil Lester. Dan's and Phil's YouTube channels are among my favorites, so I was excited to see more content from them. I was not disappointed, and I became particularly fascinated by their adventures in The Sims 4 with Dil Howlter, a hybrid Dan and Phil character. I even enjoyed a couple of their "Spooky Week" of games for Halloween, despite not being a fan of scary media in general. 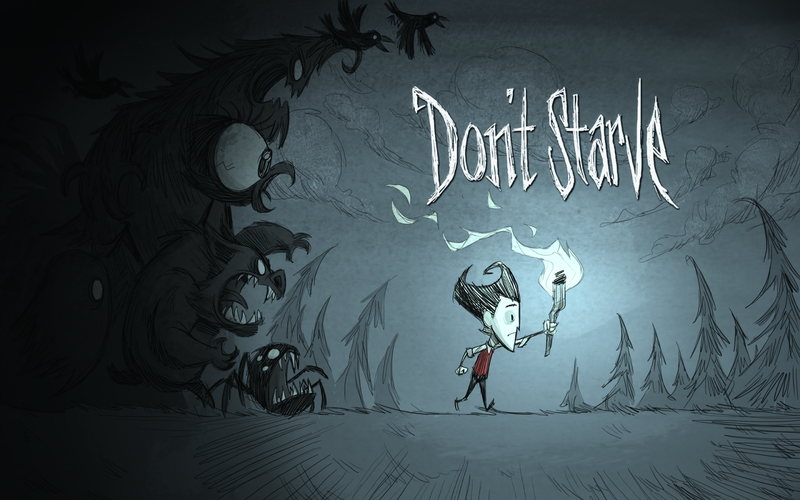 Now, I mostly follow Dan and Phil's gaming channel but occasionally seek out videos from other YouTubers of games I particularly like watching, such as the Edward Gorey-esque fantasy/nature survival game Don't Starve which I first saw on Team Hypercube. I've even considered trying some of these games myself, but I try to limit my entertainment spending as much as possible and so I've never taken the plunge to actually buy a game. Instead, I'll just continue to enjoy my gaming secondhand as I watch other people play them for my entertainment--for now, at least.